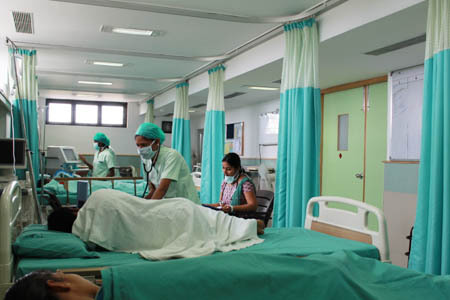 VGM GASTRO CENTRE has 24 X7 dedicated INTENSIVE CARE UNIT to treat all medical & surgical emergencies. 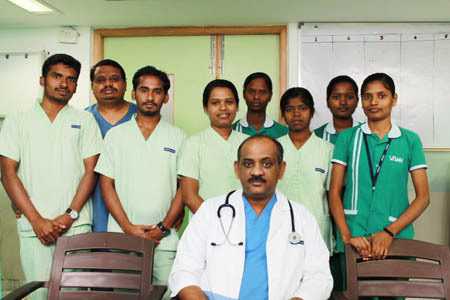 It provides good care with help of Experienced Intensivists & friendly paramedical staff. VGM GASTRO CENTRE ICU is a state-of-the-art ICU equipped with devices like Ventilators, Multipara monitors, syringe pumps, infusion pumps, SCD pumps, patient warming system, portable X- Ray unit and ECHO/USG machine.ICU is fully backed by imaging and laboratory services round the clock. The department handles cases like sepsis, ARDS, acute pancreatitis, GI bleed, Hepatic encephalopathy and all major surgical emergencies. VGM Gastro centre ICU caters patient with severe life threatening illness, where regular constant, close monitoring and support from special equipments and medicine are headed in order to ensure normal body function.